Prasad Shetty is an urbanist based in Mumbai. He has studied architecture (Mumbai) and urban management (Rotterdam). He currently teaches at the School of Environment and Architecture (SEA) and also works with the Mumbai Metropolitan Region – Environment Improvement and Heritage Conservation Society. He is one of the founder members of the urban research collective; CRIT and the Society for Envirnoment and Architecture. Earlier he has worked as an urban manager at the Mumbai Metropolitan Region Development Authority. He has also been a lecturer at the Kamla Raheja Vidyanidhi Institute for Architecture; an Independent Fellow at the SARAI-CSDS, Delhi; a Consulting Urban Management expert to the Town Administration of Mendefera, Eritrea; and an Expert Member to the Dadra–Nagar Haveli Planning & Development Authority. 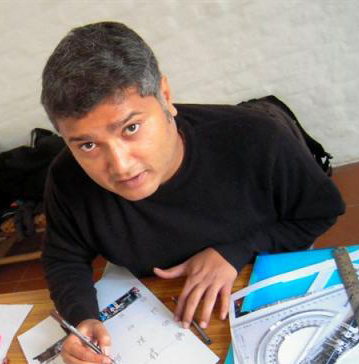 His work involves research and teaching on contemporary Indian urbanism including architectural practices, studies of post-industrial landscapes, housing, archiving post liberalization developments, entrepreneurial practices and urban property.